Masteron (Drostanolone Propionate instant and short-term action) is a product for a cycle of recruiting strength and muscle mass. It is often used during the drying cycle, as it gives the musculature a corrugated appearance. Drostenonlon propionate is recommended to be administered to men in a dosage of 300-500 mg for seven days, the main pattern may look like this: a day in a day or two on the third. Often it must be combined with nandrolone decanoate or use for this purpose boldenone udsilinate. All this can promote the growth of muscle mass and the rapid removal of fluid from the athlete’s body. 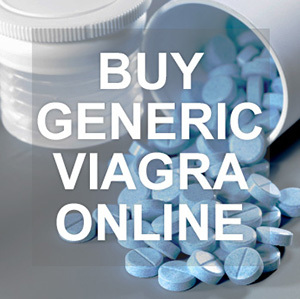 Buy Masteron and other drugs you can in our store. Prices are always low, and the quality is high. For a set of muscles, it is recommended that the course of the masteron be combined with testosterone in injections, which promotes a natural increase in muscles without the need to store unnecessary water in them. Drostanolone is used for so-called drying, but in the sublime case it must be combined with non-aromatizing drugs, such as trenbolone or oxandroln, which help the muscles stay on the strand. For women, the drug is given 100 milligrams three times a week and so for 2 to 3 months. Considering such a dosage, excessive virilization was noted. In order to slightly improve or tighten the physique, it is necessary to apply Drostenonlon propionate for 7 days at a dosage of 25-50 mg and do this from four to six weeks in a row. Due to the presence of a low anabolic index, fat quickly goes off, but at the same time androgenic reactions increase. In addition, virilization, the appearance of acne on the face, hair loss, prostate hypertrophy and increased aggressiveness are noted. Side effects from the master are very rare, so the course is calm. Has a negative effect on the heart and blood vessels, damages blood, as it contributes to the formation of excess cholesterol, which in the future can contribute to the appearance of atherosclerosis. Lipids can suffer in case of overestimation of the prescribed dosage of the drug and how liver metabolism will occur. Drostanolone propionate (Masteron) adversely affects the liver and it becomes difficult to cope with increased cholesterol in the blood, in contrast to similar drugs, such as testosterone or else nandrolone. This is due to the presence of a non-aromatizing structure. AAS has a negative effect on blood pressure and triglycerides, decreases the endothelial index of blood vessels, can lead to the appearance of cardiac ventricular hypertrophy, and this, in turn, will soon lead to a risk of cardiovascular diseases and will provoke a heart attack. If you continue to abuse and continue not to go to the doctor’s office or follow his instructions, then a fatal outcome is possible. Do not forget that side effects from the masteron appear only in case of excess dosage rates, in all other cases, they are not terrible for you.